Combine honey and coconut oil in a small bowl or ramekin & melt in microwave for 20-30 seconds, set aside. In another bowl combine all ingredients and mix well. Add honey & coconut oil to the dry ingredients, mix until it’s combined. Line a cookie sheet with parchment paper, pour mixture into pan and gently flatten evenly with your hands or a rolling pin. Refrigerate a few hours until firm. This is one of my favorite breakfasts and I’m not usually a fan of oatmeal but this is delicious. This recipe is from the new book by Chris & Heidi Powell called Extreme Transformation. Mix the oats and water together. Microwave 1–2 minutes. Stir in almond butter, almond milk, and almond extract (if using). Stir in protein powder. Top with raspberries, almonds, and cinnamon. Add stevia if needed for sweetness. Eat warm. You can also make this the night before by mixing all the ingredients together and storing in the fridge overnight without cooking. Eat cold. Here’s my breakfast from the new book Extreme Transformation by Chris & Heidi Powell. It was delicious. Spray a pan or skillet with cooking spray and place on medium heat. Beat the egg, almond milk, and cinnamon together in a shallow dish. Dip both slices of the bread into the mixture, coating both sides. 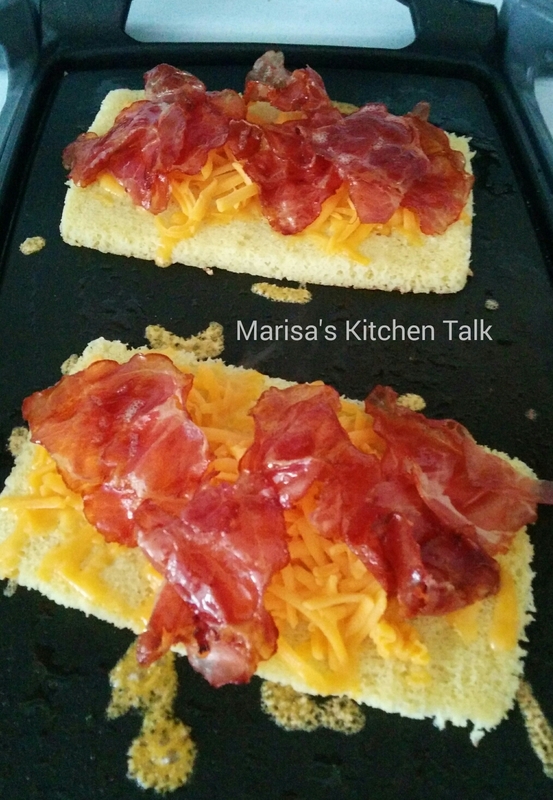 Place on the skillet and cook until the bread is brown on both sides. 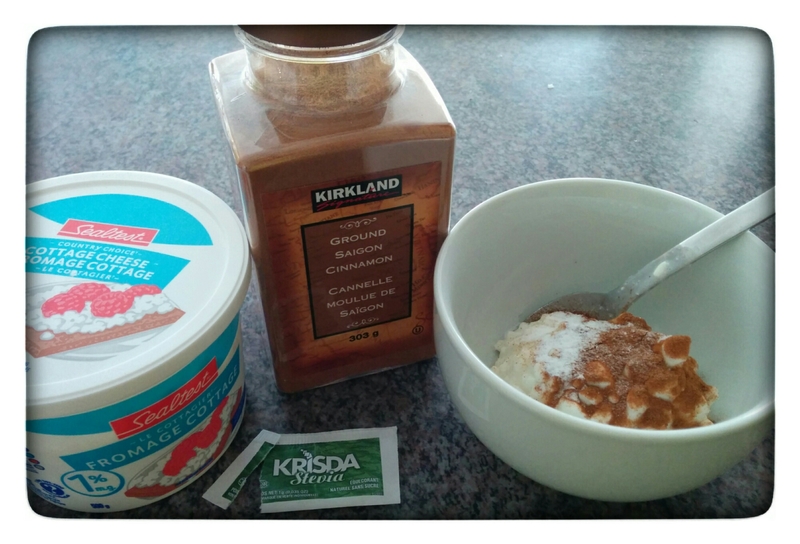 Mix together the cottage cheese and stevia drops. Top French toast with sweetened cottage cheese, berries, and syrup. Enjoy! Coat inside of 3-1/2 quart (or larger) slow cooker with cooking spray. Add all ingredients (except optional toppings) to slow cooker. Stir, cover, and cook on low for approx. 7 hours (slow cooker times can vary). 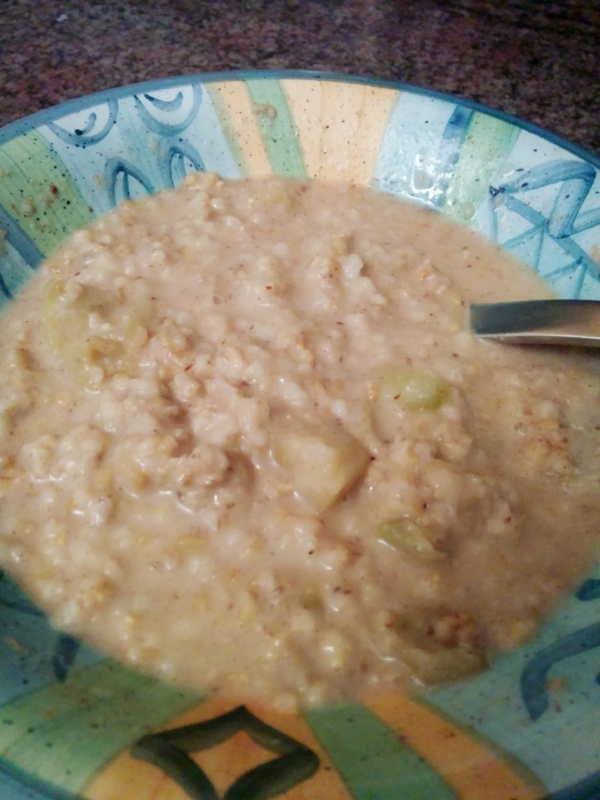 Spoon oatmeal into bowls; add optional toppings, if desired. Put 1-cup cooked oatmeal in microwave proof bowl. Add 1/3 cup milk or almond milk. Microwave on high for 1 minute; stir. Continue cooking for another minute, or until hot. 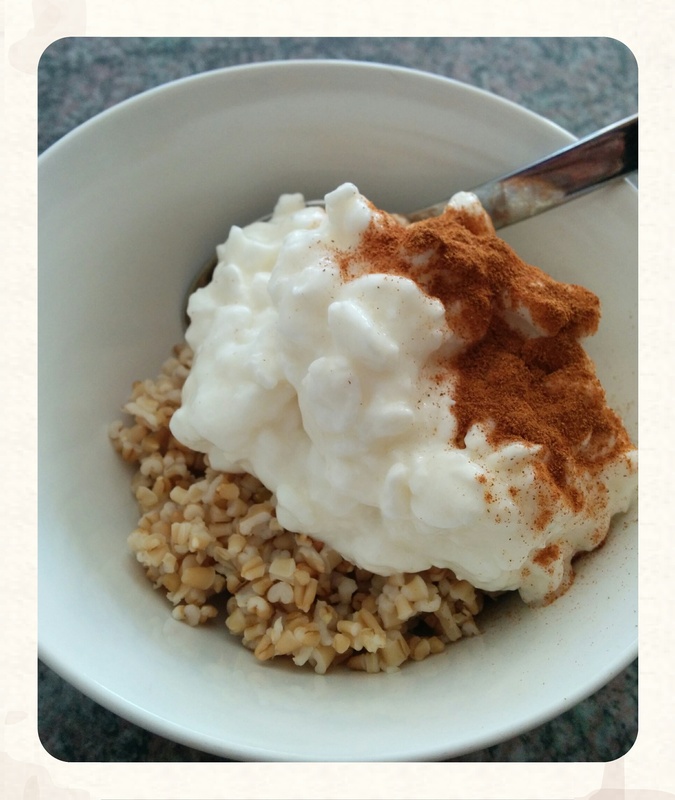 This is a delicious protein filled snack with stevia, cinnamon and cottage cheese. I may have been a little to trigger happy when sprinkling the cinnamon but none the less it was still very appetizing. Since I started carb cycling, I’ve really enjoyed bringing back some good quality carbs back into my life. :mrgreen:. 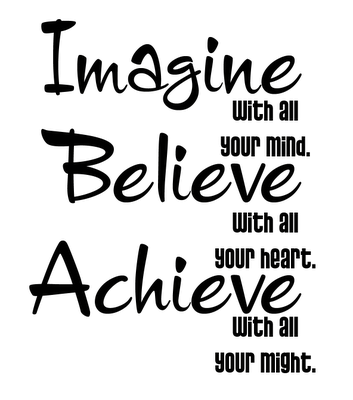 This is the first time I’ve made this and it won’t be the last. It’s a delicious breakfast or afternoon snack. In a bowl mix together the coconut flour, baking powder and the protein powder. In a separate bowl beat the egg, melted butter and heavy cream. Mix the dry ingredients with the wet ingredients until the mixture looks creamy. Microwave for about 1 minute 30 seconds or until done. 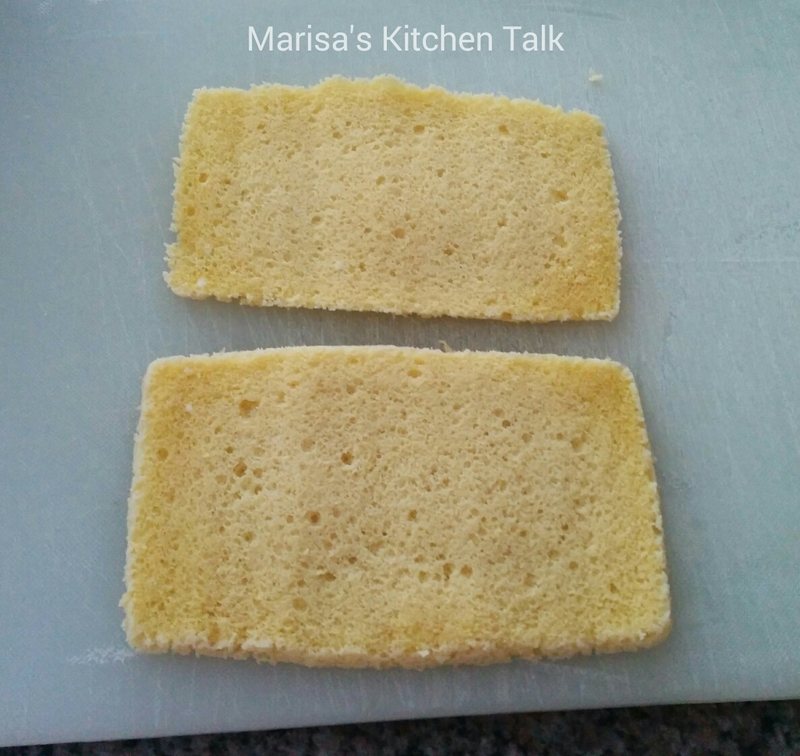 This makes a spongy soft bread. Below is how I made my grilled sandwich. I sliced the bread in half and placed it on a buttered griddle. 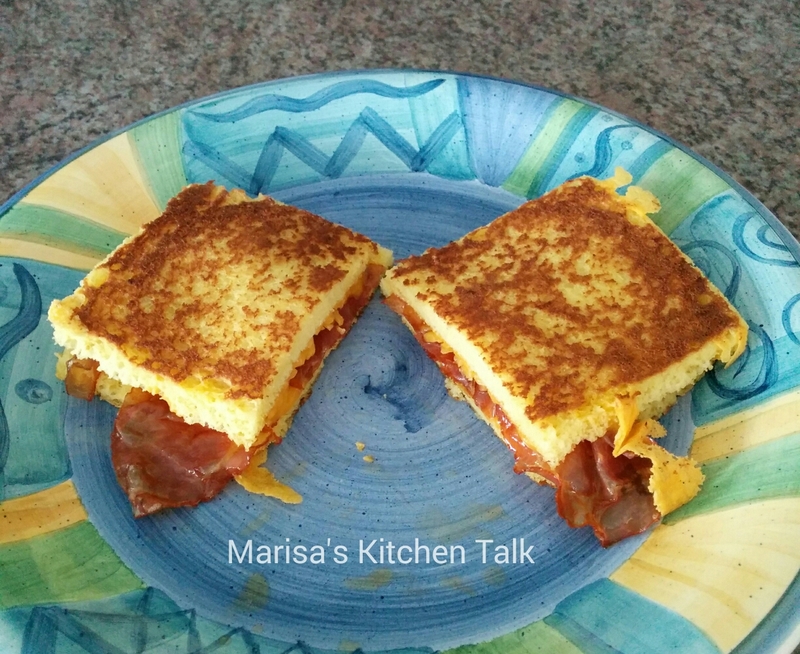 I added some fried spicy cappicolo (ham) & shredded cheddar cheese. Grill until golden brown and serve.